Access to Driver Data (ADD) figures released by the DVLA show that entire industry licence check volumes rose 17.2% in the first half of 2017 to reach a total of 1.54 million. 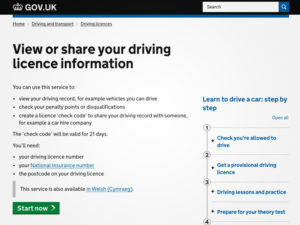 The figures, published by Licence Bureau, also show the firm experienced a 30% increase in licence checks over the first six months of the year, compared to 2016, reaching 330,894 – while it also reported a sharp increase in driver audits and online risk assessment and associated e learning. Licence Bureau MD Malcolm Maycock said the figures show that driver compliance is now being taken seriously as he also reported new contracts with a number of fleet customers in the first half, including Arla Foods and The Clancy Group, as well as a rise in checks for current customers. “The big fleets are seeing their driver numbers and profile change on a daily basis so many are now adopting more stringent checks on both new and existing employees. It has taken its time but it’s good to see the education work the industry has undertaken is finally paying off to make UK roads safer,” he added.